People often look back at old photos and other memories they’ve shared on Facebook, and many have told us that they enjoy products and features that make this easier. 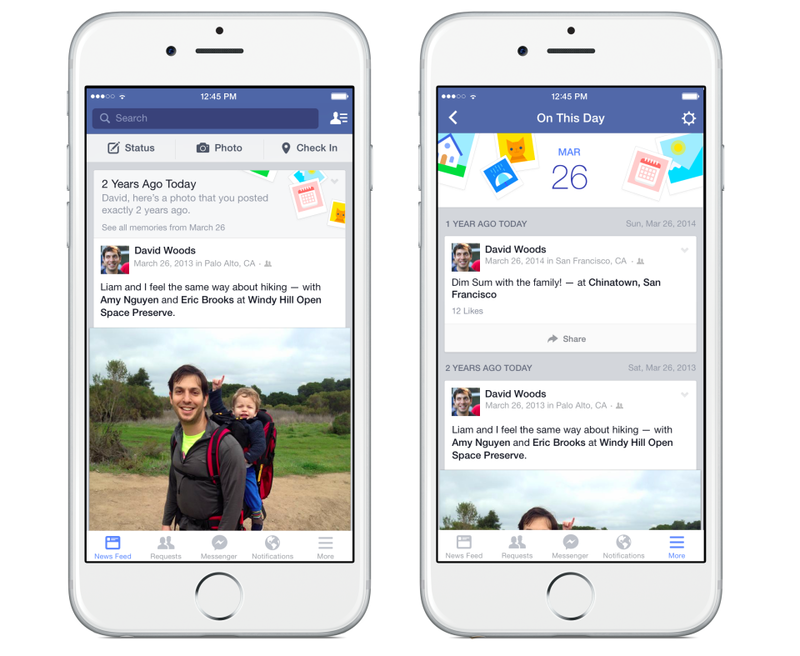 Today we’re announcing On This Day, a new way to look back at things you have shared and posts you’ve been tagged in on Facebook. Only you can see your On This Day page. On This Day shows content from this date in the past. For example, you might see past status updates, photos, posts from friends and other things you’ve shared or been tagged in – from one year ago, two years ago, and so on. Only you will see this content unless you decide to share it with your friends.